Continuous deployment software is software that automatically deploys built applications to production. Continuous deployment tools are often used by large companies that need to quickly, frequently, and easily release new changes to their customers’ applications. Continuous deployment tools are used by DevOps teams through a workflow called the deployment pipeline. Deployment pipelines are defined by each business, but when the requirement to automatically deploy stable code to production after a successful build is needed, companies choose continuous deployment software. These systems build on the capabilities done with continuous integration (CI) software and continuous delivery (CD) software in that it gives companies the means to deploy their code to production. These systems often integration with configuration management software. Continuous Deployment reviews by real, verified users. Find unbiased ratings on user satisfaction, features, and price based on the most reviews available anywhere. Ship better code, faster. CircleCI’s continuous integration and delivery platform helps software teams rapidly release code with confidence by automating the build, test, and deploy process. CircleCI offers a modern software development platform that lets teams ramp quickly, scale easily, and build confidently every day. CircleCI is available as a Hosted or On-Premise platform with Mobile (macOS and Android) available with each option. AWS CloudFormation allows you to use a simple text file to model and provision, in an automated and secure manner, all the resources needed for your applications across all regions and accounts. 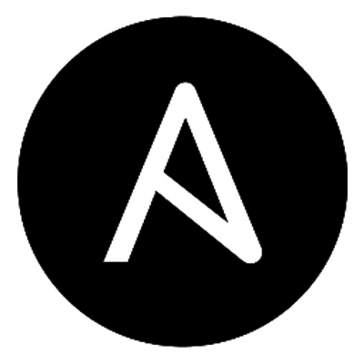 Ansible is a simple way to automate apps and infrastructure. Application Deployment + Configuration Management + Continuous Delivery. Countless mobile app developers rely on Bitrise to automate the build-, test- and deploy process for their applications, allowing for rapid iteration, better apps, faster product-market fit and overall increased productivity. With customers ranging from single person work-for-hire studios, to billion dollar enterprise companies, Bitrise has enabled the successful deployment of millions of app builds. Customer include chart-toppers like Runkeeper, Grindr, Duolingo, Just-Eat, Careem, Buffer and many more. Test and Deploy with Confidence. Easily sync your GitHub projects with Travis CI and you'll be testing your code in minutes! TeamCity will make sure your software gets built, tested, and deployed, and you get notified about that appropriately, in any way you choose. It’s a continuous integration and deployment server from JetBrains which takes moments to set up, shows your build results on-the-fly, and works out of the box. And best of all – it’s free by default. Octopus takes over where your Continuous Integration server ends, enabling you to easily automate even the most complicated application deployments, whether on-premises or in the cloud. GoCD is an on-premises, open source, continuous delivery tool with comprehensive pipeline modeling and value stream map to help you get better visibility into and control of your teams' deployments. Puppet Enterprise helps you know what's in your infrastructure, and how it's configured across all the physical components of your data center; your virtualized and cloud infrastructure; and everything you're running in containers. Puppet automatically keeps everything in its desired state, enforcing consistency and keeping you compliant, while giving you complete control to make changes as your business needs evolve. Only Puppet includes desired state conflict detection and situational awareness, and comes with over 5,000 prebuilt supported, approved and community-contributed modules. Semaphore is the fastest continuous integration and delivery (CI/CD) platform on the market, powering the world’s best engineering teams. Our aim is to make CI/CD practices more accessible to developers, provide a great user experience, and treat our customers as we’d like to be treated. After you push code to GitHub, it quickly runs your tests on a platform with first-class Docker and Kubernetes support and 100+ tools preinstalled. Automate any continuous delivery pipeline. Get complete control with customizable stages, parallel execution, control flow switches, secrets and dependency management. Use Semaphore CLI to start builds, inspect logs, SSH directly into jobs or create custom dashboards. Already trusted by thousands of businesses around the globe, it can help your team move faster too. Spinnaker helps codify the process of reliably deploying artifacts to the cloud, leveraging industry best practices out-of-the-box. An entire new way to deploy. Bare metal. Virtualized. Public or private clouds. Deploy your applications to any server in seconds with Distelli. CloudBees Core provides a flexible scalable solution for CI/CD, a unified governance engine to support compliance, standardization and shared best practices and supports both modern and legacy applications while empowering developers with the freedom to innovate. CloudBees Core empower developers to innovate, enables shared services to support multiple diverse teams, helps DevOps teams to scale best practices, protects the business from compliance and security risks while enabling teams achieving high-velocity delivery of value. Get back your time with Buddy’s delivery pipelines that eliminate repeatable tasks in your daily development. Automatically build & ship web projects on a single git push, on click, or recurrently. Easily define your own delivery process just like you build a house of bricks: from builds and tests, to deployments, custom scripts, and website monitoring. Bring the newest tech to your team’s stack with native Docker support: containers, microservices, Kubernetes deployments, and more. Buddybuild ties together continuous integration, continuous delivery and an iterative feedback solution into a single, seamless platform. CodePush is a cloud service that enables Cordova and React Native developers to deploy mobile app updates directly to their users’ devices. IBM Cloud Continuous Release replaces manual coordination with templates to automate processes, collect approvals, and more. It works with Jenkins, GitHub, ServiceNow, and UrbanCode in the cloud or on-premise. A modern, end-to-end Agile source code management, release automation and deployment automation tool that enables mainframe application developers at all skill levels to fulfill business requirements, optimize code quality, and improve developer productivity through mainframe DevOps. Deploy mobile apps, instantly. Use git push to instantly update React Native apps in production. AutoRABIT is an end-to-end Release Management Suite for accelerating the development and release of Salesforce applications. It enables Automated Metadata Deployment and Version Control support, including Advanced Data Loading and Sandbox Management, Defect Tracking, and Test Automation for public and private clouds. BOSH is an open source tool for release engineering, deployment, lifecycle management, and monitoring of distributed systems. BuildMaster lets you release your software reliably, to any environment, at whatever pace the business demands. Build a self-service release management platform by allowing different teams to manage their own applications and deploy to their own environments. Start simple and then scale to thousands of servers and the cloud. Buildout is a Python-based build system for creating, assembling and deploying applications from multiple parts, some of which may be non-Python-based. It lets you create a buildout configuration and reproduce the same software later. CA Application Lifecycle Conductor improves business agility by removing barriers to faster time to market and improved reliability. CA Automic Release Automation is designed to help enterprises around the globe to automate millions of processes daily. Achieve higher quality releases with application release automation. CollabNet Clarive is an Application Release Manager that coordinates releases, automates deployment, and manages different environments to ensure speed and reliability of application delivery. Issue tracking, hosted Git repositories, continuous integration and documentation in a single platform. Continua CI is an Easy to use, Scalable and Affordable Continuous Integration Server. With an intuitive user interface, it takes just minutes to get up and running. With support for Visual Studio, MSBuild, Ant, Nant, Rake, FinalBuilder, Git, Hg, Svn, Perforce and many other tools, Continua CI has something for everyone. continuousphp is a PHP-centric PaaS to build, package, test and deploy applications in the same workflow. Adopt a Jobs-as-Code approach to avoid rework and headaches related to your application delivery. DeployGate enables developers to distribute beta apps to enable beta testing from fellow developers and community. Hi there! Can I help you find the best Continuous Deployment solutions?